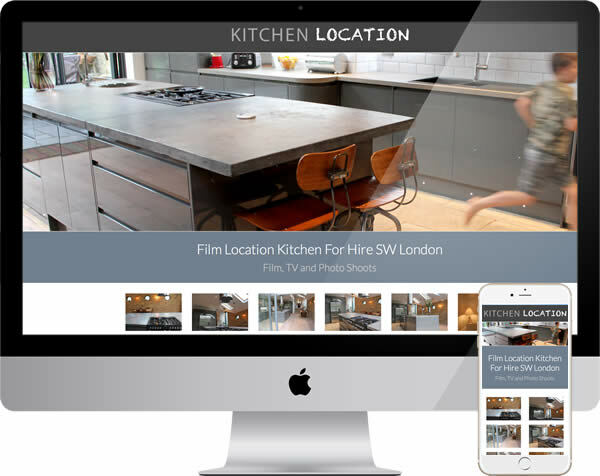 Brief – Kitchen Location provide a perfect place for chefs to record their work live. A real, domestic kitchen, in a fine home, yet designed with filming and photography in mind. They required an online showcase and knowing their audience well, wished to ensure they made an immediate visual impression. To match a common film director’s habit, of online location hopping. We agreed to stick to a one page format in the main, with departures for aspects likely to be viewed post decision. The first impression for visitors would be complete and driven by imagery. Technical & Search – A few points, such as inventory were separated but most content remained on the single page. This needed to be accessible to visitors and crawlable by search engines. One page websites have become something of a fad, often with dynamic content loading as you progress. We preferred to avoid this, focusing instead on sound engineering, for a weighty page. With a substantial image gallery, other large images, eight videos and a Google map, this one would never be speedy. We still managed a page opening time equal to the median for any web page. Design & Build – Directors and chefs want to see a kitchen in detail, from every angle, so why not let them get on with this. Beyond a great top image, the site opened with an 18 image gallery. Built to work fast and on any device, this would lead the sale. The page itself in style, font and layout made to be reminiscent of a social network wall. A place for a journey of discovery and reinforcement. Videos of celebrity chefs using the kitchen and a purpose made showreel helped. Part of a composition about experience, a design there to offer core information but with graphic clarity. Outcome – Areas such as the accordion to shorten text on initial view are quite acceptable to search engines and in this case, became part of a design suitable for the website users. Although in a small niche, the site is successful in search and more so with visitors. The moderate cost to create this website has been repaid many times over, along with leading chefs enjoying the venue. By all means take a look at further examples of our work, or see the service we offer in our introduction to web design. You are equally welcome to get in touch with us, to discuss your own web project.